After a fun afternoon of bowling with friends, we definitely had worked up an appetite. ASK was conveniently located next door to the bowling place, so it seemed like an easy option to go to. 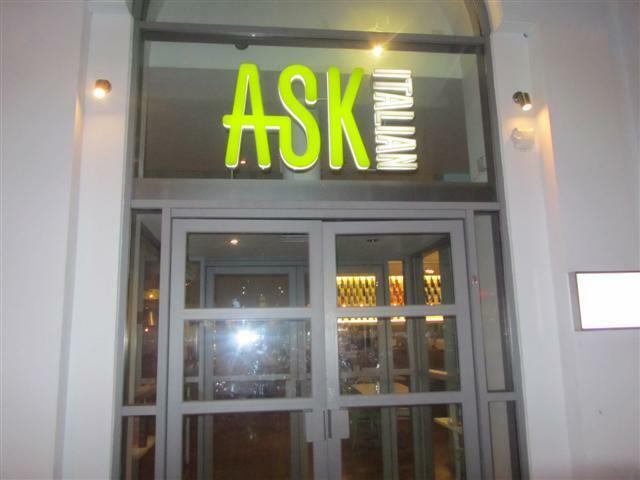 From the outside, ASK looked inviting with its spacious restaurant area, white and green theme and it looked like it had had a makeover. It also had some outdoor seating. As we were pretty hungry, we felt the need for a starter. 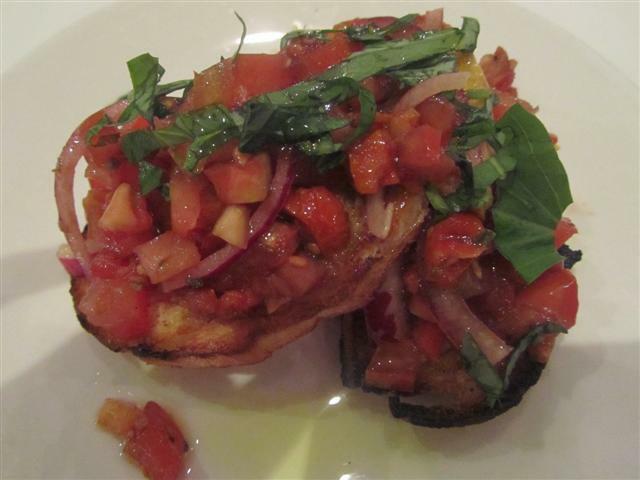 The Bruschetta Classica was two thin slices of crisp bread, topped with chopped tomatoes, onions and basil. It had quite a tang to it, as if there was too much vinegar in the dressing. Also the dressing had made the bread slightly softer than it should have been. While we were still eating the bruschetta, the waitress came over and said that our main dishes were ready. This was strange as normally the main dishes are not served until diners have finished their starters. As we were seated right next to the open kitchen, we could see our pizza and pasta dishes. We told the waitress that we were not ready for the main meal. All we could see was our food by the kitchen, just sitting there getting cold for a while. When the food was served to us, it was warm. So we’re not sure if it had been placed back in the oven. As we were sharing the food, the waitress gave us side plates. Some of our plates were dirty and it was hard to get the attention of the waitress so that we could get them changed. Even when we were given new plates, some of them weren’t clean. We had to get them changed yet again. We were quickly losing confidence with ASK. The Caprina pizza was an oval shaped pizza served on a wooden board. The pizza base tasted slightly doughy as if it was undercooked. It had a strange taste to it. 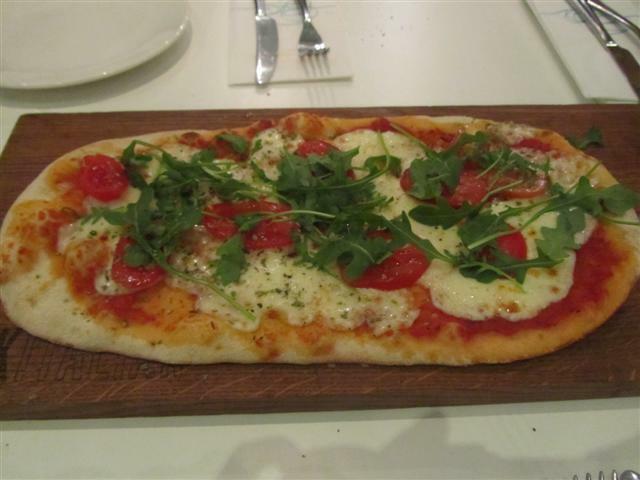 The pizza was topped with rocket, tomatoes, mozzarella and oregano. We asked for it not to have the goat’s cheese and the olive tapenade. For the pasta, the Spaghetti al Pomodoro was chosen. 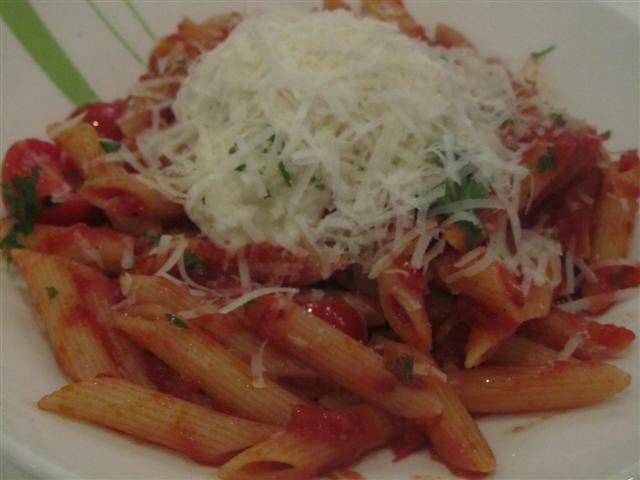 Instead of spaghetti, we had it made with penne pasta. The dish was topped with buffalo mozzarella. We were given parmesan but the waitress just piled it all onto one place instead of grating it all over the pasta. The pasta in the tomato and garlic sauce was actually quite tasty. Rustic chips were ordered to accompany our meal. But when our food was served, the waitress told us that we had not ordered the chips. So we had to wait for them to be cooked. As for the chips being rustic, they were far from it. The chips were more like oven chips and some were undercooked. Dessert was the best part of the meal. 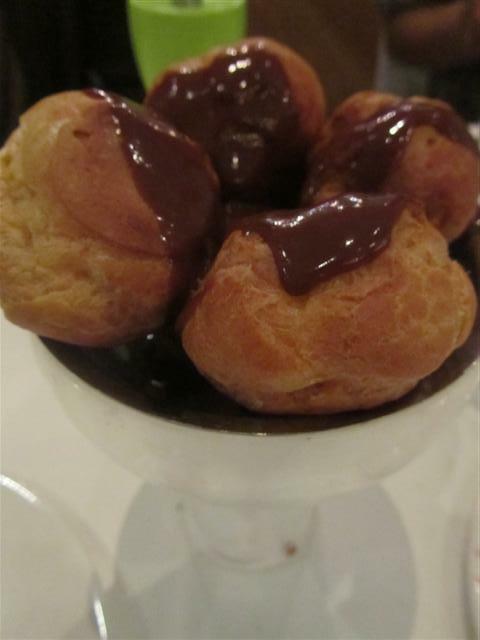 The Profiteroles al Cioccolato filled with ice cream and topped with chocolate sauce did not disappoint. It was served in a silver ice cream sundae like bowl. ASK is not a place that I would speak highly of. Disappointing food, bad service and an unclean restaurant do not make for a nice evening dinner out. The waitress was consistently unhelpful and she told us that she was very busy with serving other diners. But whenever we looked, the restaurant was not that busy. It looked like the waitress kept wandering from one place to another, unnecessarily. Hence, when we required her attention, we were waiting quite a while. This ASK restaurant seems to have taken for granted that it will constantly be busy due to its location in a leisure park. It feels that they don’t care about their customers, or the quality of their food or the level of service. They know that they will continue to get customers, no matter how bad their restaurant is. A disappointing restaurant and it would definitely be better to go to any of the other eateries in the leisure park next time. At least that way, a bad experience at ASK could be avoided. 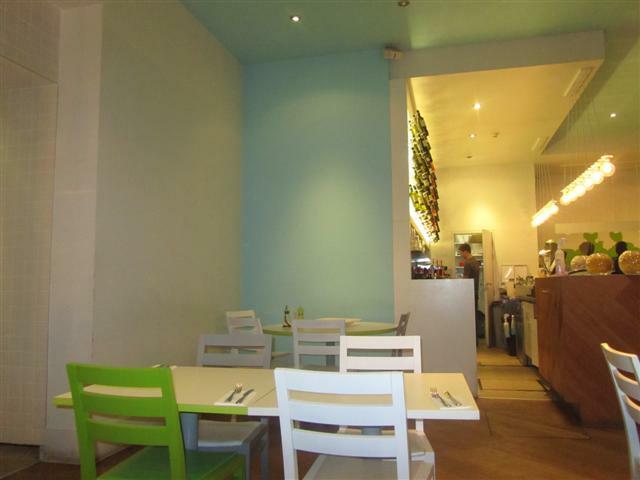 ASK Italian North Finchley did get in touch with Rate My Bistro and apologised for the poor experience that we had. They said that they have taken on board all the feedback and discussed it with the team to stop such situations from occurring again. They stated that ASK Italian is trying to create something quite special and have been working hard on their look, food and team. They hope that customers will give their restaurant a go.